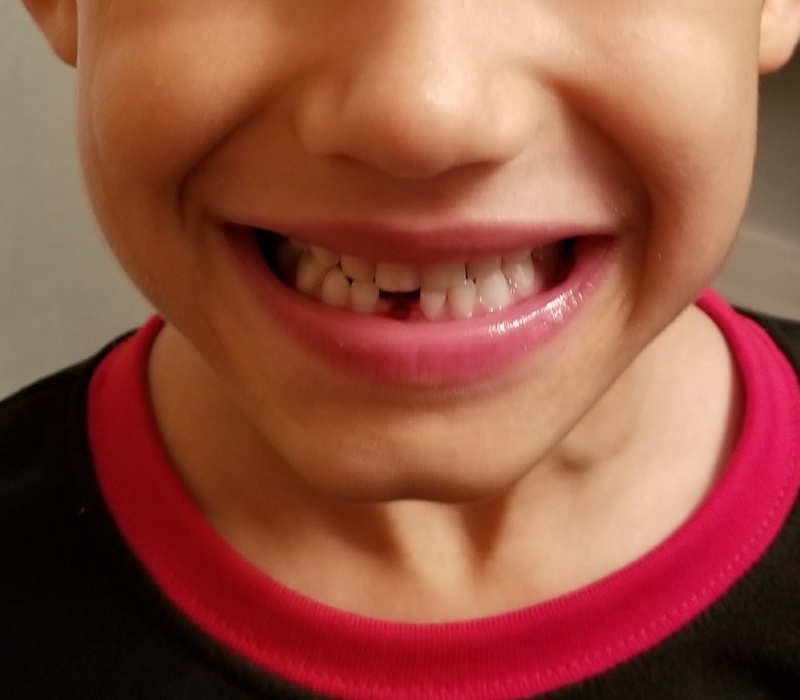 So we’ve had a bit of a milestone around here: The Boy Child lost his first tooth! 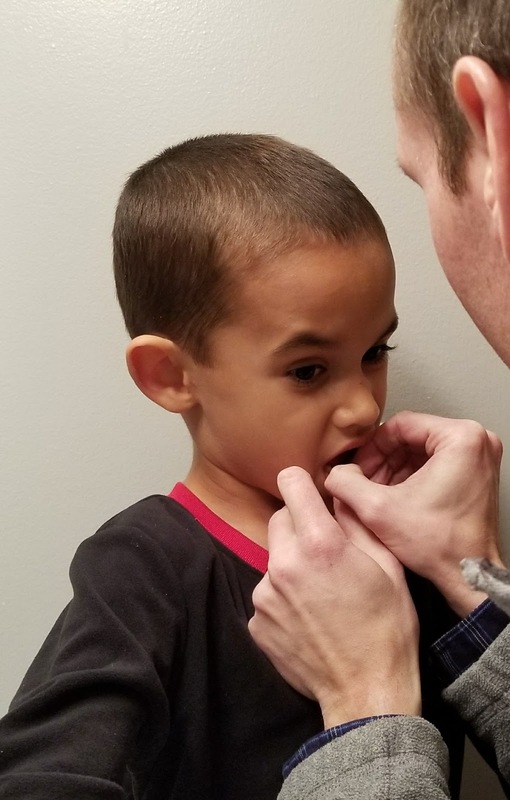 About a week ago, he suddenly announced that he was no longer going to brush his teeth, because the dentist had told him to “brush the teeth you want to keep,” and he wanted them to fall out. While I couldn’t argue with his logic in that, I reminded him of two things. One, being that even though the other kids in his class are losing their teeth, he is nearly a year younger than most of them. And second, the Tooth Fairy doesn’t take rotten teeth. 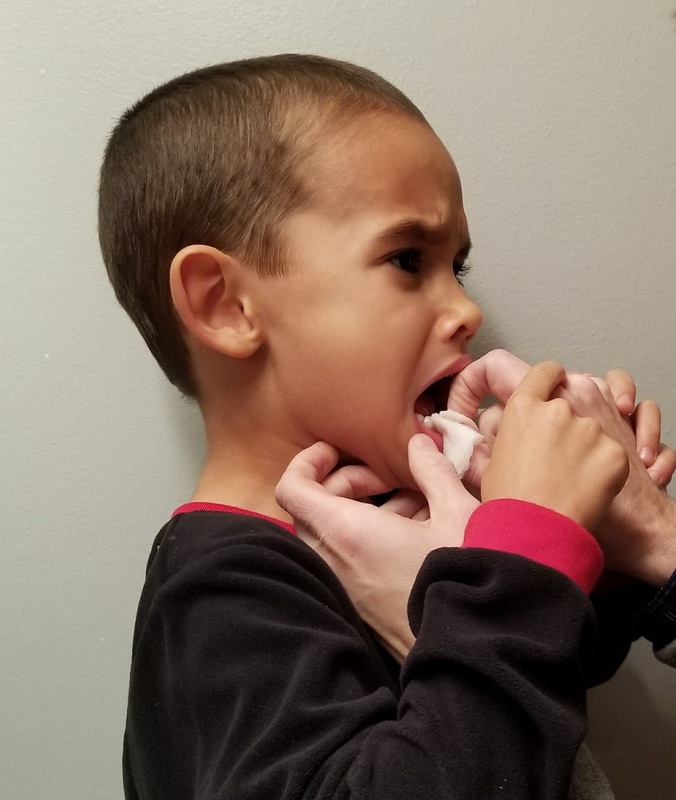 He wasn’t satisfied with either answer, which is why I was pretty happy when several days later he came home with his first loose tooth. And it wasn’t just a little loose, it was already dangling. How did that happen so fast!? Convinced that he wanted it out THAT NIGHT, he asked The Guy to pull it out for him. 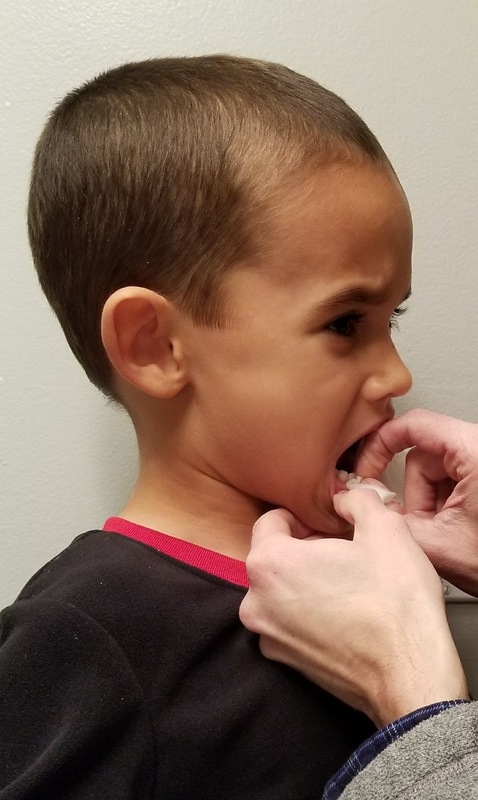 And although he was brave and didn’t cry, I couldn’t help but laugh at the facial expressions I captured as he progressed through the realization of what having a tooth pulled out, actually entails. Anyway, every time I look at those pictures I start laughing all over again, and I thought maybe it might give you a bit of a laugh too. 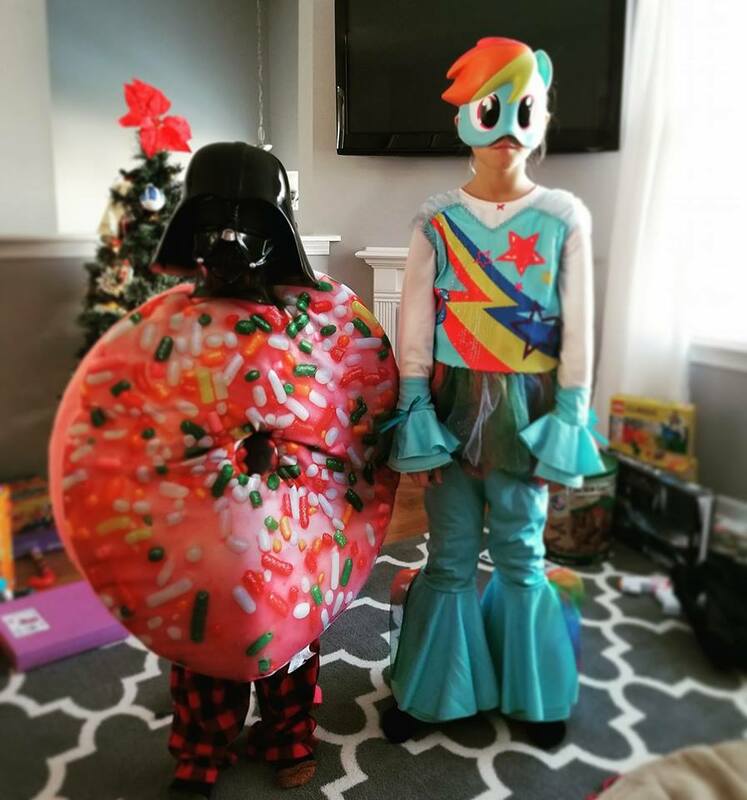 At first they weren’t too thrilled with our taste in humorous gifts, but this morning they got me back by charging into my room, in costume, and startling me from a deep sleep. Well played kids, well played. In other news, I’ve had a great time writing for Babble this month. It’s quite the random smattering of subjects, but as always I will share them here, and you can take a peek at whatever interests you. 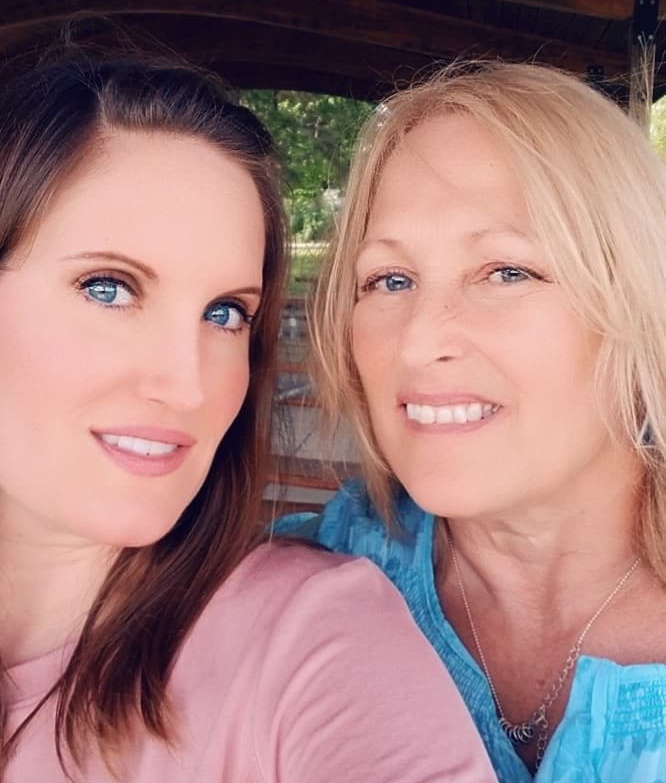 *It’s been a few years since I’ve spoken with my mother, and this pregnancy has raised a lot of feelings towards my non existant relationship with her. We talk so much about accepting our postpartum bodies, but why don’t we talk about accepting them while we are pregnant? 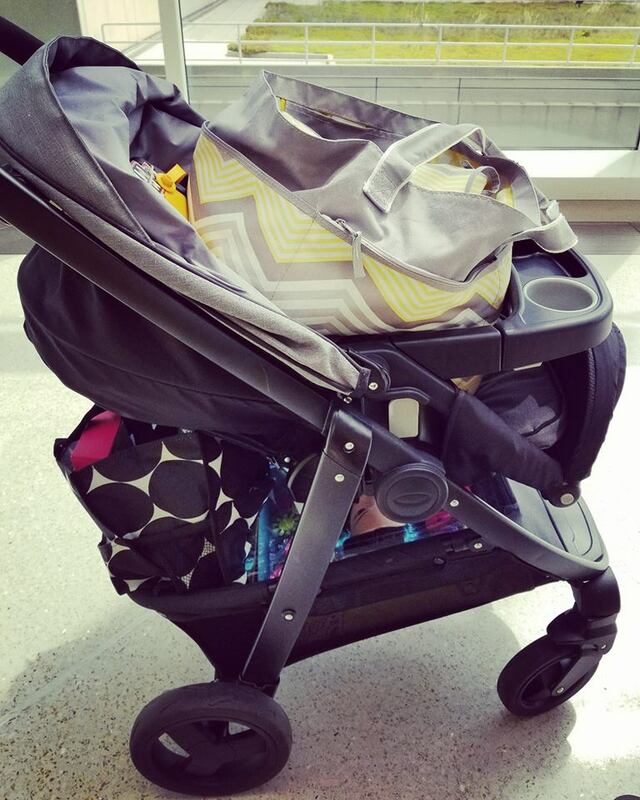 Because I’m really struggling to accept that what is happening, is OK.
I’m living moment to moment, until I can bring myself to buy a car seat, because I sadly know, that not all babies come home. Gingerbread houses, advent calendars, pumpkin pies, and more! Now all my gluten, dairy, and allergen free readers can eat their way through the holidays, along with everyone else! Feel like you have too much to do this holiday season? Well here’s a genius idea to help you get rid of your elf, AND keep the Christmas spirit alive. There is nothing quite like a real live Santa, to help reconnect us all. Personally, I think this is genius. 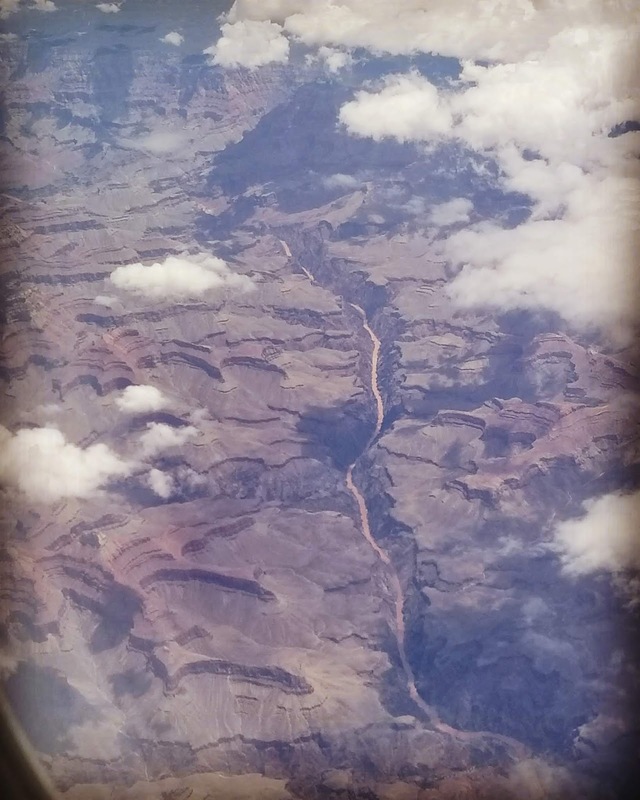 Traveling during the holidays, or navigating the holiday with a split custody schedule? Now kids can let Santa know where they will be on Christmas Eve, and/or ask him to come a different night. I love his logic although being your kid I am not surprised in the least!!! You have such smart kids!!! Thanks for sharing such a wonderful milestone with us all!!! The pictures are PRICELESS! !